When I applied to college, I was accepted into every school I applied to, including Harvard, Princeton, Stanford, MIT, the Ivy League, UC Berkeley, UCLA, and more. While I had a strong overall application, the two teacher letters of recommendation were CRITICAL in getting me admitted. Why? Both teachers said I was one of the top students they had ever taught. Both enthusiastically advocated for my personality, leadership skills, and energy. How can YOU earn recommendation letters that will get you into your top choice colleges? I'll show you how in this article. For the first time, I'm sharing my FULL, UNEDITED letters of recommendation as examples for you. These are the exact letters submitted when I applied to college. Even better, you'll see exactly what my Harvard admissions officer underlined - what really stood out as important and noteworthy. Quick question - how confident are you in knowing what colleges are looking for in your recommendation letters? Do you have a strong understanding of what an effective letter consists of, and what a bad letter looks like? Many students have the totally wrong idea of what colleges are looking for in recommendation letters. This, naturally, leads to subpar letters for students. Before I show you my letters, I first want to explain WHY recommendation letters from teachers are such an important part of your college application, and then WHAT makes effective letters so effective. If you're chomping at the bit and really want to jump directly to my letters, here's Recommendation Letter Example #1, and here's Recommendation Letter Example #2. BUT I highly recommend that you stick with me for the next two sections - you'll get a lot more out of this guide and get much stronger rec letters as a result. The goal of your overall college application is to communicate who you are as a person, in an easily digestible package that can take 20 minutes to understand (or less). From this package, colleges will decide whether they want you to join their community or not. 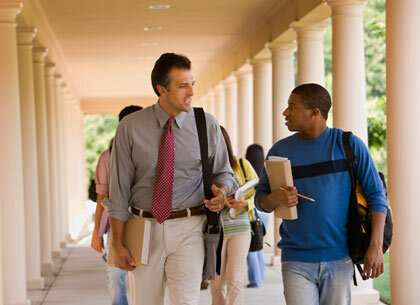 These are the ultimate goals of colleges when selecting their next class of students. Your application must convince the college that you will succeed in both goals. Of course, these are complex ideas - success is not only hard to predict, but different people also have different ideas of what success means. previous academic success is a great predictor of future academic success, which in turn predicts career success. certain personality traits are preferred: integrity, leadership, curiosity, creativity, empathy, perseverance, motivation, ambition, collaboration, confidence, and others. You don't need to be perfect in all dimensions, but some of these should apply strongly to you. you also generally want to avoid the opposite of these traits. These are all bad adjectives: unethical, narrow-minded, unmotivated, self-centered, arrogant, rude. For the first admissions requirement of academic success, your coursework and test scores play the biggest role. If you took a rigorous courseload and got a high GPA, and you got a high SAT/ACT score, you have shown that you can handle high school academics. This means you're in a great position to succeed academically in college. How do you show the second requirement - personality traits? Part of this is in your personal essays and extracurriculars, where you'll show what you're interested in and give voice to your personality. But of course you'll describe yourself as curious, creative, collaborative, kind, and so forth. Who would describe themselves as unethical and mean? This is why colleges need objective, third-party observers to comment on who you are. This is where your teacher recommendations come in, and why they're so important. The role of the rec letter is to show who you are as a person. Your teachers have engaged with you throughout at least a year of class. They've seen you in class with other students, and possibly out of class too. There are hundreds of small interactions that piece together to form your teacher's impression of you. How do you interact with students? How do you interact with teachers? How creative was your work? How much did you participate in class discussions? How motivated were you to excel in school? Are you a jerk nobody wants to be around? Or are you someone the teacher entrusts with the future? A great teacher recommendation tells the college all of the above. What if you don't fully believe me yet? I'm just one guy with his own admissions experiences. Recommendations from secondary school teachers and counselors are extremely important at Harvard and at many other colleges, particularly those with selective admissions processes. Faced with more academically qualified applicants than places in the freshman class, our admission officers review the two required teacher recommendations and the counselor report with great care, often commenting on them in writing on “reader sheets” in each application. We often project the recommendations themselves onto large screens so that all members of the Admissions Committee can see them during the subcommittee and full committee review processes in February and March. Recommendations can help us to see well beyond test scores and grades and other credentials and can illuminate such personal qualities as character and leadership as well as intellectual curiosity, creativity, and love of learning. Along with essays, interviews, and other materials in the application, recommendations can offer evidence of an applicant’s potential to make a significant difference to a college community and beyond. Notice how he says Harvard is "faced with more academically qualified applicants than places." What does this imply? "Among a pool of students with the same academic qualifications, we use personality traits to decide who to admit or reject." And letters of recommendation for students describe those personality traits. To beat a dead horse: your teacher recommendations add more color to your academic achievements, your test scores, and your GPA. The best recommendation letters for colleges rave about your personality and personal qualities. This is why my two letters below are so effective. You do NOT want your recommendation letters to just be repeats of your resume. This gives the admissions officer ZERO extra information about who you are a person. You do NOT want your recommendation letters to just say, "Johnny got an A and turned in his homework on time." This makes it very obvious that the teacher has no idea who you are as a person, which means it adds ZERO to your application. Great recommendations talk about more than your class performance. They discuss your personal qualities, how interacting with you feels like, and why you're likely to succeed in the future. First, I'm going to show my letters to you, with analysis of why they were so effective. You'll see the highlights made by my Harvard admissions officer, which will tell you what things she found important. Then I'll give you advice on how to build relationships with your teachers so you can get letters like this on your own. Usually you don’t get to read letters of recommendation for students because you sign the FERPA waiver, waiving away your rights to read your application. But I was able to retrieve my full Common App and Harvard application from Harvard, complete with my original letters of recommendation. Most colleges require you to have two letters from teachers in different subjects. The two teachers I asked for letters were my favorite two teachers in all of high school. Personally, I vibed most strongly with teachers who actually cared about teaching. They gave engaged students with energy, treated us kindly and empathetically, and went above expectations to help students succeed. Not only did I have the most fun with these teachers, but they were also more likely to advocate for me enthusiastically in their letter. You might not vibe with teachers for the same reasons, but it's important you choose teachers you get along with and who you feel will write you very strong letters. My first letter comes from my AP Chemistry teacher from 10th grade. My second comes from my AP English Language teacher from 11th grade. As you read these letters, remember - these letters didn't come instantly. They take hundreds of small interactions over a year or more to build an impression of who you are. You can't trick a teacher into writing a great recommendation letter for you. If you honestly like learning and are an enthusiastic, responsible, engaging student, a great recommendation letter will follow naturally. The horse should lead the cart. I took AP Chemistry in 10th grade and had Miss Cherryl Vorak (now Mynster). She was one of our younger teachers, having taught for just a few years before I had her. She clearly took pride in her work. She was very caring, spent a lot of time helping struggling students, and seemed to consider teaching her craft. She was universally well liked by her students, even if they weren’t doing so well. This is pretty rare. She was fair in her policies and grading, and she was kind. This was the kind of teacher where if you weren't doing well, you felt like it was your fault, not the teacher's. I participated in the US National Chemistry Olympiad (this was the major academic honor I earned) and she was my advocate and a great resource for this. She provided me a lot of training materials and helped me figure out college chemistry. By the time I applied to college in senior year, I had known her for two full years and engaged with her continuously, even when I wasn't taking a class with her in junior year. We’d build up a strong relationship over the course of hundreds of small interactions. All of this flowed down to the recommendation you see here. The horse leads the cart. First, we’ll look at the teacher evaluation page. 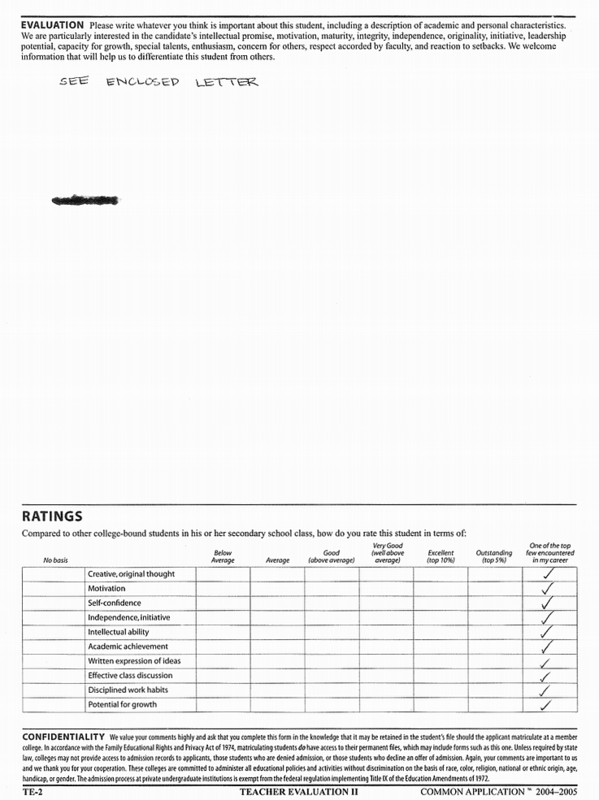 The Common Application now has 16 qualities to rate, rather than the 10 here. But they’re largely the same. If the images are hard to read, keep scrolling down - I provide the recommendation in text form. I've known Allen as a student inside the classroom and outside the classroom in extracurricular academic activities since he was in the 10th grade. What are the first words that come to your mind to describe this student? Intelligent, motivated critical thinker; Charasmatic, well rounded, talented individual; Independent, mature, responsible student. As a 10th grader, Allen was one of the top students in my AP Chemistry class. Please write whatever you think is important about this student, including a description of academic and personal characteristics. We are particularly interested in the candidate’s intellectual promise, motivation, maturity, integrity, independence, originality, initiative, leadership potential, capacity for growth, special talents, enthusiasm, concern for others, respect accorded by faculty, and reaction to setbacks. We welcome information that will help us to differentiate this student from others. 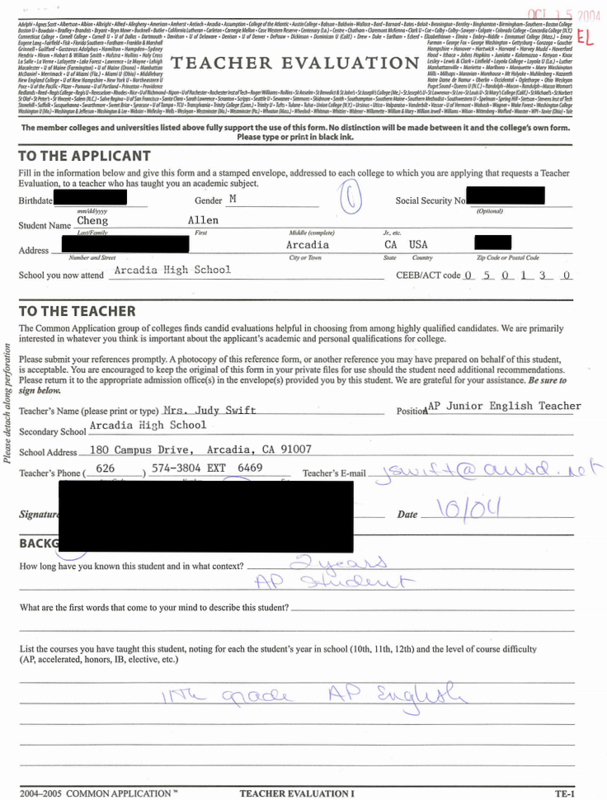 This was the Common Application from 2004-05, over 10 years ago. In today’s Common Application, all of these ratings are retained, aside from “Potential for Growth.” Today's Common App also now includes Faculty Respect, Maturity, Leadership, Integrity, Reaction to Setbacks, Concern for Others, and TE Overall. 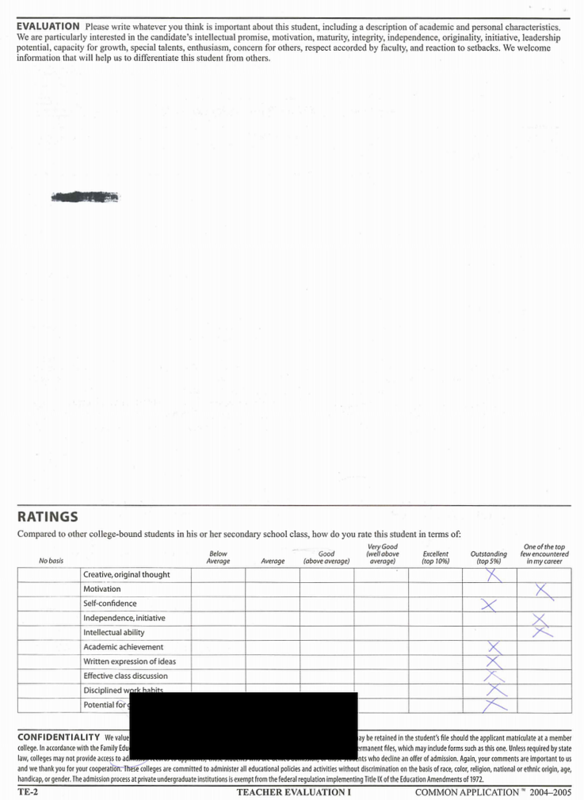 You can tell that Common App teacher evaluations place a strong emphasis on personality. From Miss Vorak, you can see a very strong evaluation. First she says she's known me for over 2 years and has had interactions inside and outside the classroom. Then she's very enthusiastic with her "first words" answer, listing off a lot of strong personal traits. Finally, she gives me the highest ratings possible for all qualities. The Ratings section is really important. In one go, you're compared to all the students your teacher has ever taught. The better your ratings here, the more competitive you are relative to your classmates. What makes for good enough ratings for you? That depends on your personal college goals and your school's competitiveness. The more competitive the colleges are, the higher up your ratings need to be. If you're applying to your state school, where the admissions rate is >30%, and your high school is pretty competitve, simply being Very Good or Excellent can be a strong rating for you. On the other hand, if you're applying to the most selective colleges like Harvard, Stanford, or the other Ivy League schools, it is important to be ranked “One of the top few encountered in my career” for as many ratings as possible. If you’re part of a big school, this is CRITICAL to distinguish yourself from other students. The more experienced and trustworthy the teacher, the more meaningful this is. You really want to make sure you’re one of the best in your school class, if not one of the best the teacher has ever encountered. Next, let’s look at her letter. As you read this, think – what are the interactions that would prompt the teacher to write a recommendation like this? This was a relationship built up in a period of over 2 years, with every small interaction adding to an overall larger impression. Again, if the images are too small to read, I'll have the exact text below, so scroll down. 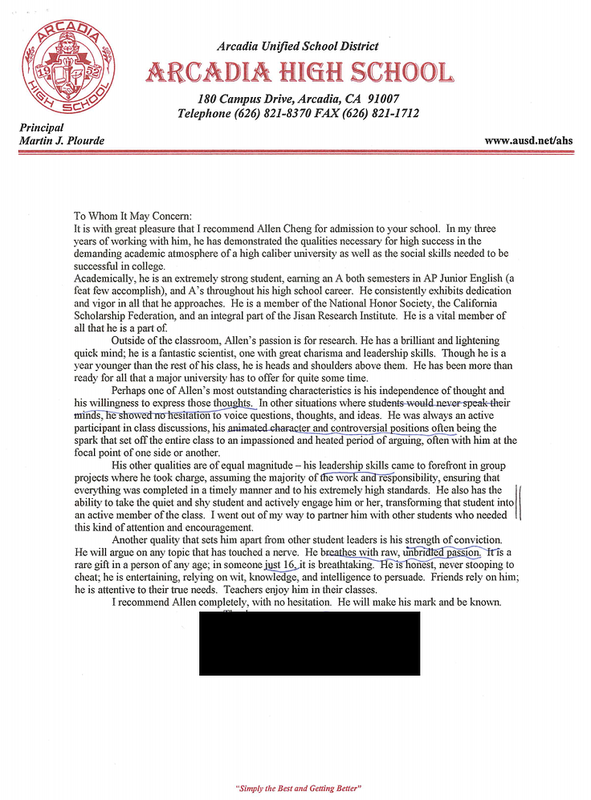 It is with very great pleasure that I write this recommendation for Allen Cheng to support his application for admission into Harvard. Allen has a deep passion for science and has been one of the few exceptionally gifted students that I have encountered in my career as an Advanced Placement Chemistry teacher. Among his many achievements and accomplishments, Allen’s performance on a battery of Chemistry Olympiad exams taken by approximately 11,000 students nationwide recently secured him the position as the second alternate for the U.S. Chemistry Olympiad team, ranking 6th in the country for a team which represented our nation in the International Chemistry Olympiad competition in Germany this past spring. As a senior, Allen hopes to surpass his performance once more in hopes of securing a solid position as one of the four members on the 2005 U.S. Chemistry Olympiad team this coming spring. I first encountered Allen when he was a sophomore in my AP Chemistry class. He was the youngest student in the class of upper classmen, but he was the top excelling student among the two sections of AP Chemistry classes that I taught during the 2002-2003 academic year. As a sophomore, he worked very well with others, mastered laboratory techniques, earned the top score on the AP Chemistry Exam, and was one of the top performers on the National Chemistry Olympiad Exam that year. As one of the top performers on the National Chemistry Olympiad Exam in 2003, Allen was one of twenty students in the nation who qualified to be a participant in the United States National Chemistry Olympiad National Team in the spring that year. 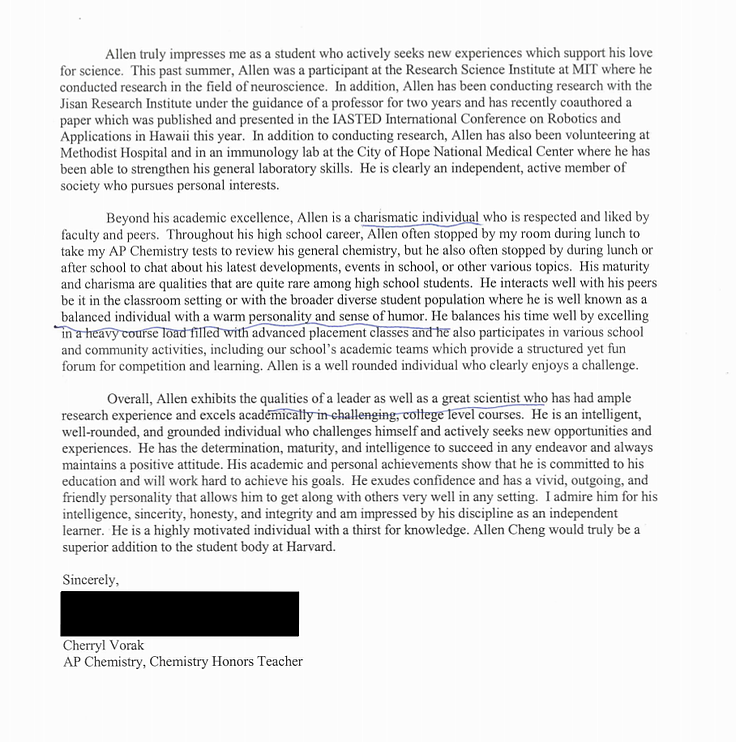 He spent an extensive amount of time studying independently in order to ensure that he would cover all of the topics that our class did not yet study and often sought additional instruction during lunch and after school during which he asked questions and performed labs from previous Chemistry Olympiad competitions for practice. 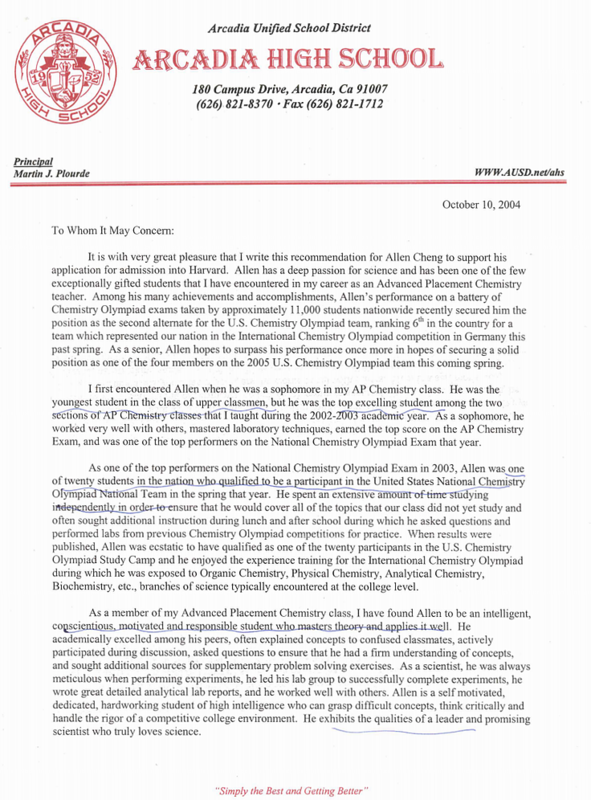 When results were published, Allen was ecstatic to have qualified as one of the twenty participants in the U.S. Chemistry Olympiad Study Camp and he enjoyed the experience training for the International Chemistry Olympiad during which he was exposed to Organic Chemistry, Physical Chemistry, Analytical Chemistry, Biochemistry, etc., branches of science typically encountered at the college level. As a member of my Advanced Placement Chemistry class, I have found Allen to be an intelligent, conscientious, motivated and responsible student who masters theory-and applies it well. He academically excelled among his peers, often explained concepts to confused classmates, actively participated during discussion, asked questions to ensure that he had a firm understanding of concepts, and sought additional sources for supplementary problem solving exercises. As a scientist, he was always meticulous when performing experiments, he led his lab group to successfully complete experiments, he wrote great detailed analytical lab reports, and he worked well with others. Allen is a self motivated, dedicated, hardworking student of high intelligence who can grasp difficult concepts, think critically and handle the rigor of a competitive college environment. He exhibits the qualities of a leader and promising scientist who truly loves science. Allen truly impresses me as a student who actively seeks new experiences which support his love for science. This past summer, Allen was a participant at the Research Science Institute at MIT where he conducted research in the field of neuroscience. In addition, Allen has been conducting research with the Jisan Research Institute under the guidance of a professor for two years and has recently coauthored a paper which was published and presented in the LASTED International Conference on Robotics and Applications in Hawaii this year. 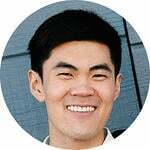 In addition to conducting research, Allen has also been volunteering at Methodist Hospital and in an immunology lab at the City of Hope National Medical Center where he has been able to strengthen his general laboratory skills. He is clearly an independent, active member of society who pursues personal interests. 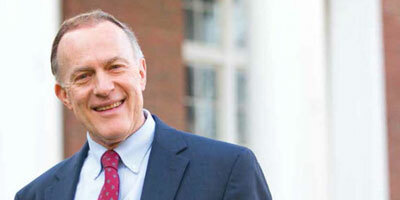 Beyond his academic excellence, Allen is a charismatic individual who is respected and liked by faculty and peers. Throughout his high school career, Allen often stopped by my room during lunch to take my AP Chemistry tests to review his general chemistry, but he also often stopped by during lunch or after school to chat about his latest developments, events in school, or other various topics. His maturity and charisma are qualities that are quite rare among high school students. He interacts well with his peers be it in the classroom setting or with the broader diverse student population where he is well known as a balanced individual with a warm personality and sense of humor. He balances his time well by excelling in a heavy course load filled with advanced placement classes and he also participates in various school and community activities, including our school’s academic teams which provide a structured yet fun forum for competition and learning. Allen is a well rounded individual who clearly enjoys a challenge. Overall, Allen exhibits the qualities of a leader as well as a great scientist who has had ample research experience and excels academically in challenging, college level courses. He is an intelligent, well-rounded, and grounded individual who challenges himself and actively seeks new opportunities and experiences. He has the determination, maturity, and intelligence to succeed in any endeavor and always maintains a positive attitude. His academic and personal achievements show that he is committed to his education and will work hard to achieve his goals. He exudes confidence and has a vivid, outgoing, and friendly personality that allows him to get along with others very well in any setting. I admire him for his intelligence, sincerity, honesty, and integrity and am impressed by his discipline as an independent learner. He is a highly motivated individual with a thirst for knowledge. Allen Cheng would truly be a superior addition to the student body at Harvard. The letter here is very strong for a multitude of reasons. First, the length is notable – most letters are just a page long, but this is nearly two full pages, single spaced. This is pretty rare, since teachers often have to write dozens of letters a year. It's clear she's interacted with me a lot, cares a lot about supporting me, and is willing to put in the work to do so. The structure is effective: first Miss Vorak talks about my academic accomplishments, then about my personal qualities and interactions, then a summary to the future. This is a perfect blend of what effective letters contain. She highlights my most important extracurricular activities and awards (you can read more about it here in my Complete college application). At the detail level, her diction and phrasing are specific and supportive. She makes my standing clear with precise statements: “youngest student…top excelling student among the two sections” and “one of twenty students in the nation.” She’s clear about describing the effort I put in, like studying college-level chemistry and studying independently. When describing my personality, she’s exuberant and fleshes out a range of dimensions: “conscientious, motivated and responsible,” “exhibits the qualities of a leader,” “actively seeks new experiences,” “charismatic,” “balanced individual with a warm personality and sense of humor.” You can see how she's really checking off all the qualities colleges care about and corroborating her ratings. Overall, Miss Vorak’s letter perfectly supports my application – my love for science, my overall academic performance, and my personality. The last part is especially important - she adds much more color beyond my A in AP Chemistry. This letter was important to complement the overall academic performance and achievements shown on the rest of my application. Let's go to my second Common App teacher recommendation. Curious about what my college application looked like, including personal essays, grades, test scores, and extracurriculars? You're in luck - I've published my ENTIRE college application here. This includes my complete Common Application, teacher recommendations, counselor recommendation, and Harvard supplement. 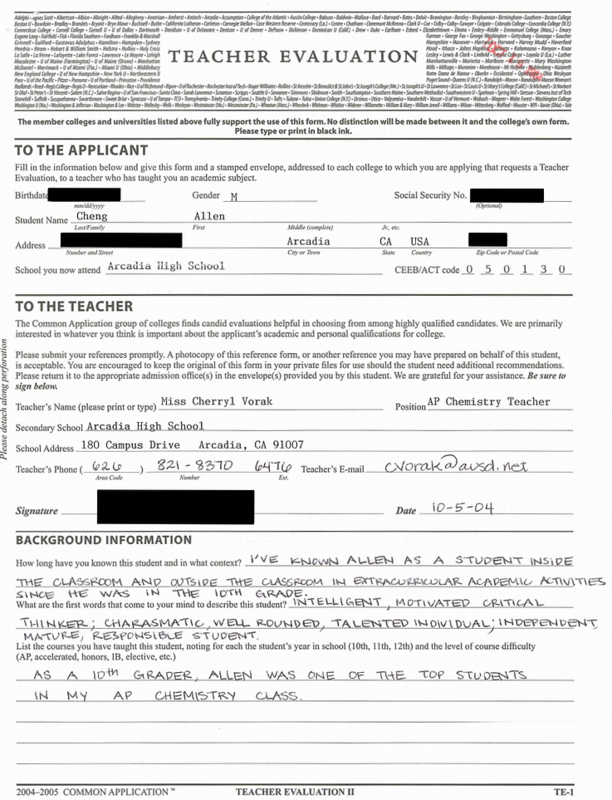 This application got me into every school I applied to, including Harvard, Stanford, Princeton, and more. Check out how Miss Vorak's letter complemented my entire college application and my Personal Narrative. My second teacher Mrs. Swift was another favorite. A middle-aged, experienced English teacher, I would describe her as “fiery,” in a good way. She was passionate, always trying to get a rise out of students in class discussions. She was challenging as a teacher and grader, and I always wanted to impress her. Emotionally she was a reliable source of support for students. You might chalk this up to my not being as standout of a student in her mind, or her just getting tired of recommendation letter requests every year. In ratings, I earned three of the “one of the top in my career” for "Motivation," "Independence, initiative," and "Intellectual ability." The rest are marked as Outstanding (top 5%). These are overall great ratings, but not as universally "top ever" compared to my AP Chemistry teacher. There are a few explanations for this. As a teacher’s career lengthens, it gets increasingly hard to earn this mark. Since Mrs. Swift was a lot older than Miss Vorak, she had run through a ton of students already, which makes it harder to be one of the top few ever encountered. 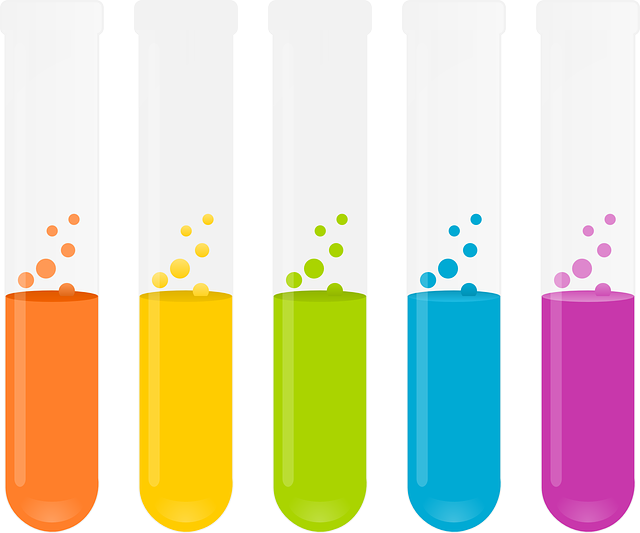 I probably also didn’t stand out as much as I did to my Chemistry teacher – most of my achievement was in science (which she wasn’t closely connected to), and I had talented classmates. Regardless, I did appreciate the 3 marks she gave me. Now, the letter. Once again, as you read this letter, think: what are the hundreds of interactions, in the classroom and outside, that would have led to a letter like this? It is with great pleasure that I recommend Allen Cheng for admission to your school. In my three years of working with him, he has demonstrated the qualities necessary for high success in the demanding academic atmosphere of a high caliber university as well as the social skills needed to be successful in college. Academically, he is an extremely strong student, earning an A both semesters in AP Junior English (a feat few accomplish), and A’s throughout his high school career. He consistently exhibits dedication and vigor in all that he approaches. He is a member of the National Honor Society, the California Scholarship Federation, and an integral part of the Jisan Research Institute. He is a vital member of all that he is a part of. Outside of the classroom, Allen’s passion is for research. He has a brilliant and lightning quick mind; he is a fantastic scientist, one with great charisma and leadership skills. Though he is a year younger than the rest of his class, he is heads and shoulders above them. He has been more than ready for all that a major university has to offer for quite some time. Perhaps one of Allen’s most outstanding characteristics is his independence of thought and his willingness to express those thoughts. In other situations where students-would never speak their minds, he showed no hesitation to voice questions, thoughts, and ideas. He was always an active participant in class discussions, his animated character and controversial positions often being the spark that set off the entire class to an impassioned and heated period of arguing, often with him at the focal point of one side or another. His other qualities are of equal magnitude – his leadership skills came to forefront in group projects where he took charge, assuming the majority of the work and responsibility, ensuring that everything was completed in a timely manner and to his extremely high standards. He also has the ability to take the quiet and shy student and actively engage him or her, transforming that student into an active member of the class. I went out of my way to partner him with other students who needed this kind of attention and encouragement. Another quality that sets him apart from other student leaders is his strength of conviction. He will argue on any topic that has touched a nerve. He breathes with raw, unbridled passion. It is a rare gift in a person of any age; in someone just 16, it is breathtaking. He is honest, never stooping to cheat; he is entertaining, relying on wit, knowledge, and intelligence to persuade. Friends rely on him; he is attentive to their true needs. Teachers enjoy him in their classes. I recommend Allen completely, with no hesitation. He will make his mark and be known. These comments support my personality strongly. I lean more towards an irreverent, straightforward personality, not being afraid to speak my mind. While this came across in my personal essays and application, an experienced teacher vouching for this adds so much more weight than just my writing it about myself. Again, this impression was built up over a year of her teaching me. It wasn't just one time I stopped by after class. It was continuous participation in class discussions, strong performance throughout the year, and likely observations of me when I didn't know she was even looking. With my two letters in mind, let's end with advice for how you can get the best college rec letters possible. By now, I've repeated my most important advice for you a few times. The important thing is that the advice sticks in, and that you actually practice it. 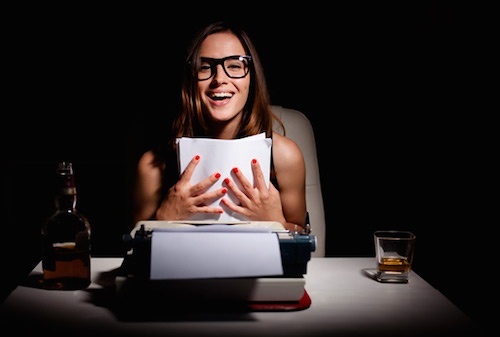 The best recommendation letters for students gush about your personal qualities and why that makes you the promising beacon of the future. You can't trick a teacher into writing a strong letter for you. This is the wrong attitude to have, and most teachers will be able to sniff out insincerity. Don't think that you can just stop by after class three times and get the teacher to be your buddy. 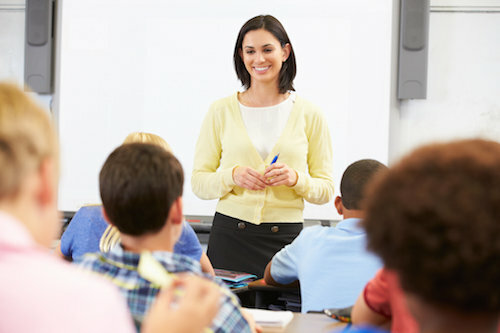 Instead, your teacher's impression of you is built up over hundreds of interactions - in class discussions, in group projects, in your homework, during presentations, when arguing about test scores, and even when you think she's not listening. Starting sophomore year, identify 2-3 teachers each year you get along with. Have at least one in math/sciences, and another in the other subjects. You won't get letters from all of them, but you do want backups in case your top choice writers don't work out. Prepare well for class discussions, and don't be afraid of sounding dumb. Speak your mind and your teacher will remember it. 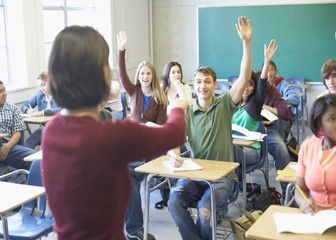 As a teaching assistant in college and grad school, I can tell you firsthand how annoying it is to ask the class a question and have no one respond. Prep beforehand and show that you're one of the few students who actually cares about learning. In your interactions with teachers, focus on improving yourself and learning, not on getting a better grade. This applies to talking about grading, group projects, and learning what's on a test. Students who grovel for extra points on a test are really annoying. In contrast, students who try to figure out where their weaknesses are and how to improve for the future are really fun to work with. Try to make the teacher's life easier. If you can help the teacher save time, she'll love you for it. This might mean helping out classmates who are struggling, sharing notes with the class, or noticing problems she's having and trying to fix them. This will take sustained effort and energy, but it's the most reliable way to get very strong recommendation letters. Even more, you'll likely have a lot more fun in school, and you'll build a strong relationship with an adult mentor who can teach you a lot. For a lot more detailed advice like this on how to interact with teachers earnestly, check out my How to Get a 4.0 GPA and Better Grades guide. Do you like my advice in this guide? 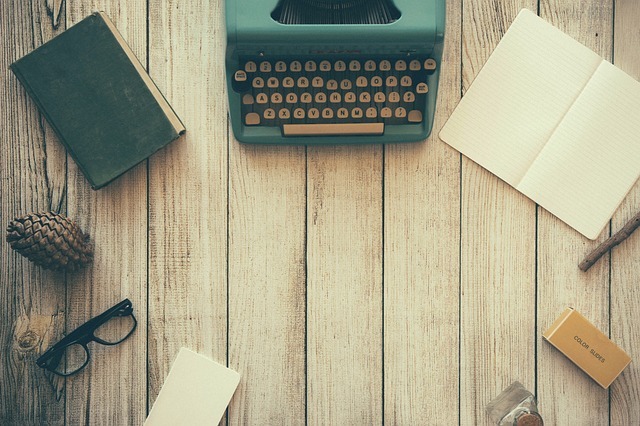 Great - I've written a lot more to help you build the strongest college app possible. Want more recommendation letter samples? Check out 4 more excellent recommendation letters from teachers. Do you feel like your SAT/ACT score is lower than what your top colleges are looking for? As someone who got a perfect score on the SAT and ACT, I learned important strategies to notice your weaknesses and drill to improve them. 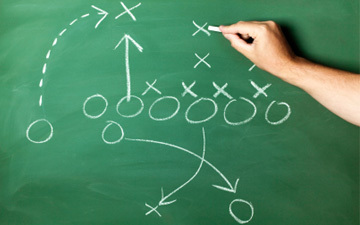 Read these guides to boost your SAT/ACT scores. 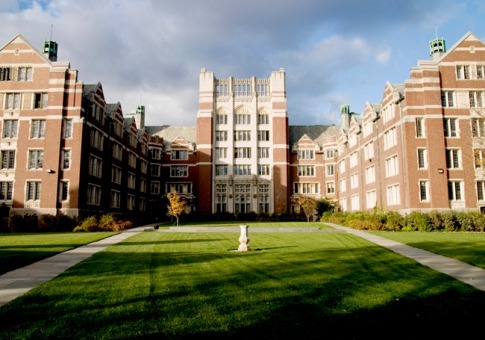 Aiming for a top school like Harvard, Stanford, Yale, or Ivy League-level schools? Your impression of what they're looking for might be COMPLETELY wrong. If you're aiming for top tier colleges, this is a must read for you. Do you feel like you're struggling to balance a rigorous courseload with good grades? You're not alone - this is a challenge for many high school students nationwide. In this guide, I'll tell you everything I know about how to get good grades. This includes mindset and psychology; study habits you need to have; and individual subject strategies. Even if you're not aiming for a 4.0 GPA, this is well worth the read - you'll learn something that can save you hundreds of hours of study time.